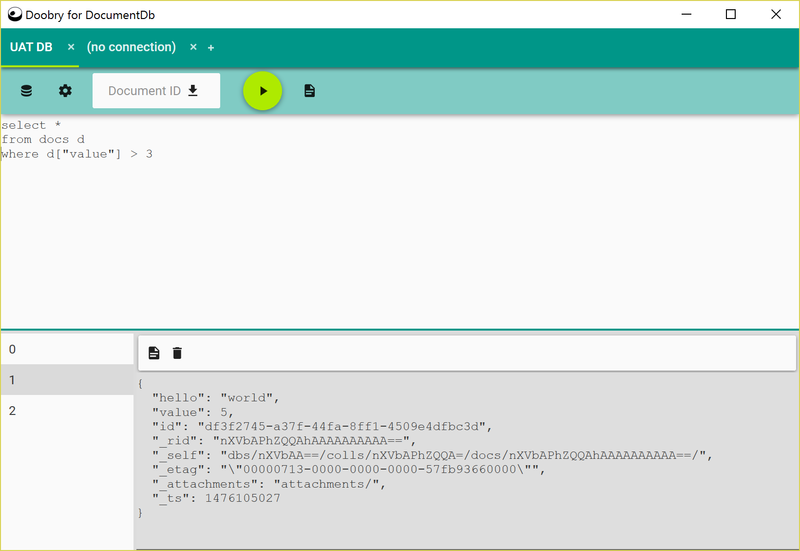 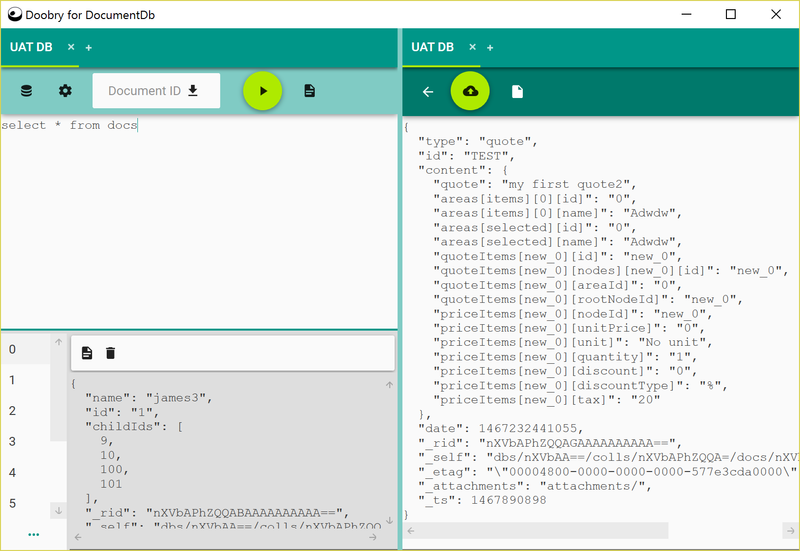 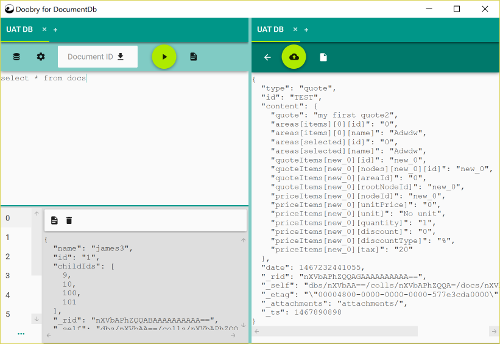 doobry is a NoSQL development and administration tool for Azure DocumentDb. 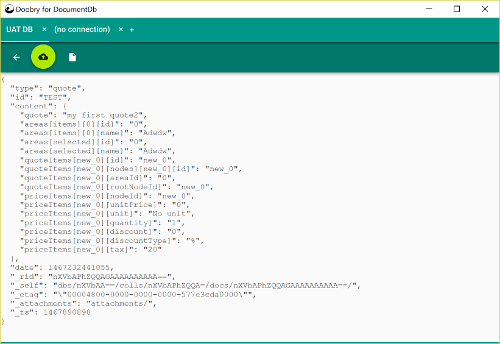 It is open source, and free to use, working on Windows 7, 8 and 10. Manage and query against multiple databases/collections. 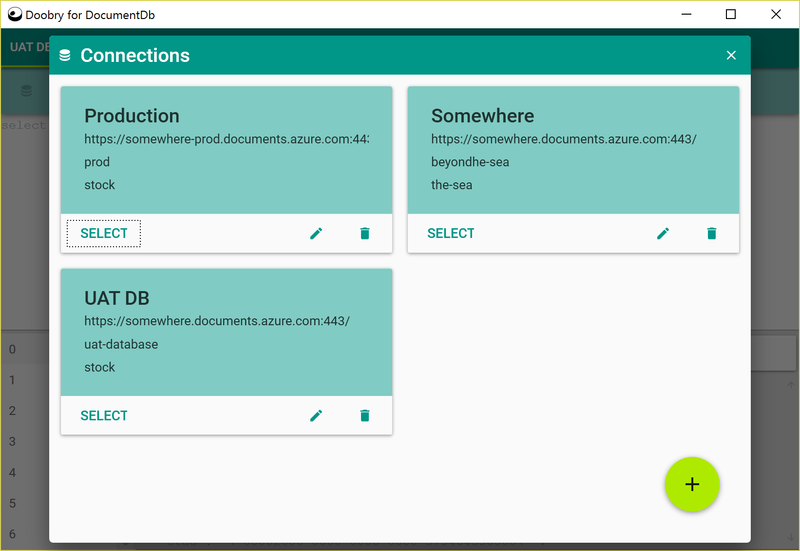 doobry is fully open source; a C# application written by the same developer of, and utilizing Material Design in XAML Toolkit and Dragablz. The full source for doobry can be found on GitHub.